Harrier Cottage is a mid-terrace cottage which has a good-sized kitchen/breakfast room with doors through to a sitting room with a wood burning stove. Upstairs there are three bedrooms and two contemporary bath/shower rooms. 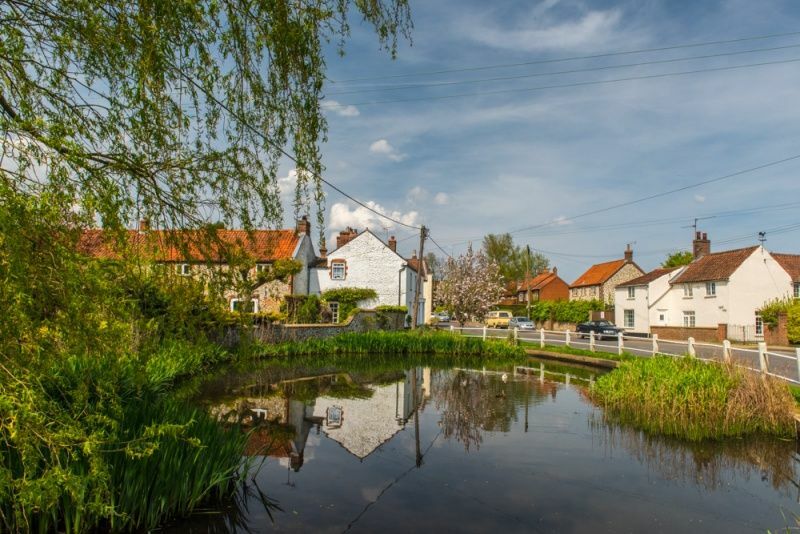 The cottage is conveniently located in the heart of Docking village within walking distance of a pub, village shop, fish & chip shop, playground and fishing lake. It is within 10 minutes drive of the beautiful coast at Brancaster or Thornham and also the popular Georgian village of Burnham Market. Entrance Hall and stairs to first floor. Cloakroom: hand basin and WC. Kitchen/Breakfast Room: well-equipped with an electric oven, halogen hob, dishwasher, full size fridge freezer. There's a kitchen table seating up to 6 and French doors to the rear garden. Utility Room: Useful area with a washing machine, sink and additional cupboard space. Bedroom 1: With a double bed, bedside tables and lamps, built-in cupboard. En-suite shower room with walk-in shower, hand basin and WC. Bedroom 2: Twin beds, bedside tables and lamps, built-in cupboard. Bedroom 3: Single bed, bedside table and lamp, built-in cupboard. All bed linen supplied is Egyptian cotton. There is a travel cot and highchair available at this property. There is off-street parking for 1 car. There is a fully enclosed courtyard garden with outside furniture. This cottage certainly exceeded expectations. It was so well presented with lovely bedrooms. Our little boy (aged 5) loved his the blue one. Really loved the location gardens and family feel. The cottage is just gorgeous and having the fire blazing on a windy night was just magical. Please can we stay forever? Very happy with the cottage - clean, comfortable and spacious. Good central location for exploring the area and great restaurants nearby. We have had a very enjoyable holiday. The cottage is delightful and furnished to a very high standard and really comfortable. We could not have asked for more. We will be back soon. The cottage is very comfortable and it is one of the nicest we have stated in. We feel very lucky to be the first person staying at this lovely new cottage. We have had a lovely stay, it&apos;s a great house and very comfortable.